The lock icon should now be closed. The system is up-to-date. So some applications are already on the system. 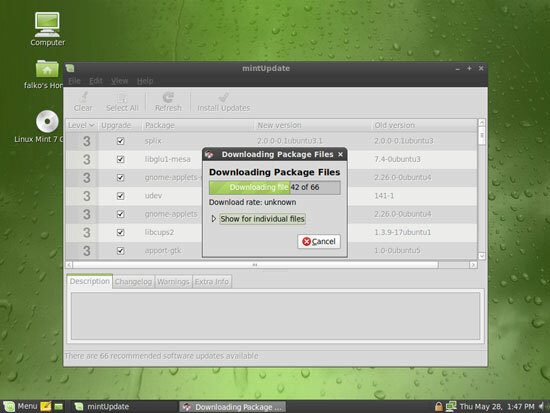 NTFS read-/write support is enabled by default on Linux Mint 7. 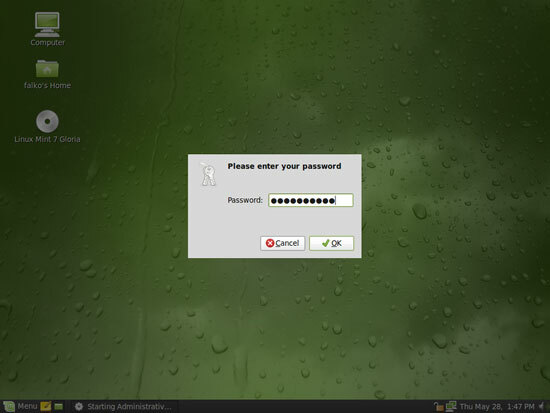 I have 2 problems with Linux mint. First of all, even if you keep it updated, you will always have to install a new version when it comes out. 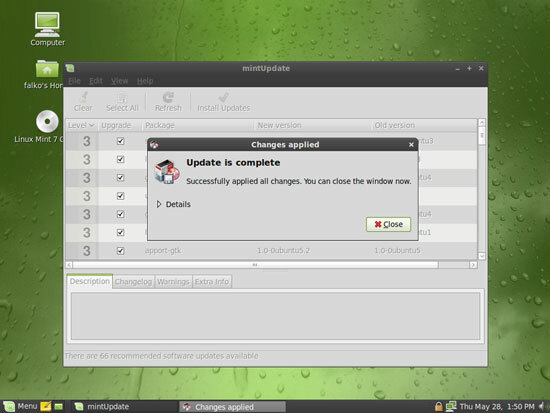 With other distros, as long as you keep things updated, you do not need to install a new version, you already have it (with the exception of the default graphics, which are easy to install if you want them). 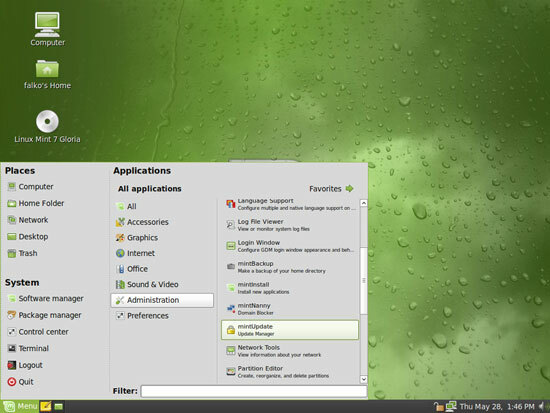 Second, Gnome is the primary GUI. 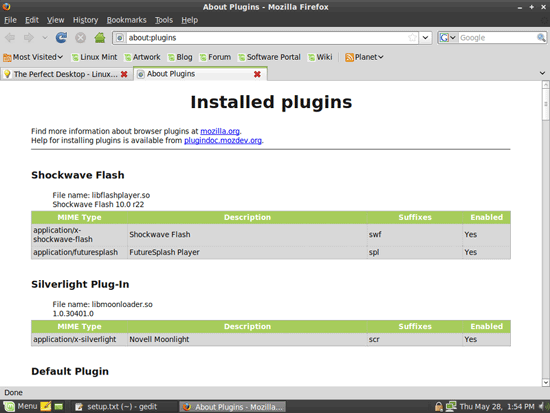 They do have a KDE version, but usually it's release lags far behind the Gnome version. 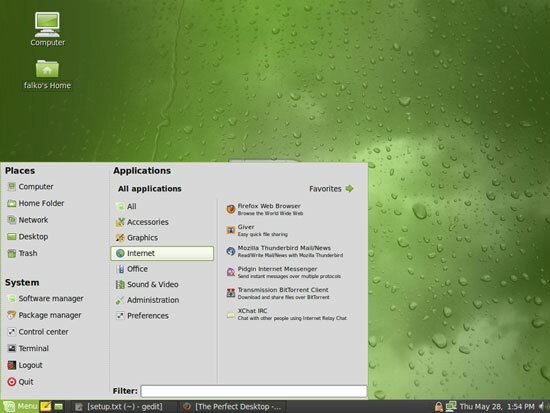 And in my opinion, KDE4.2 with whatever problems etc...still is far far better than Gnome. 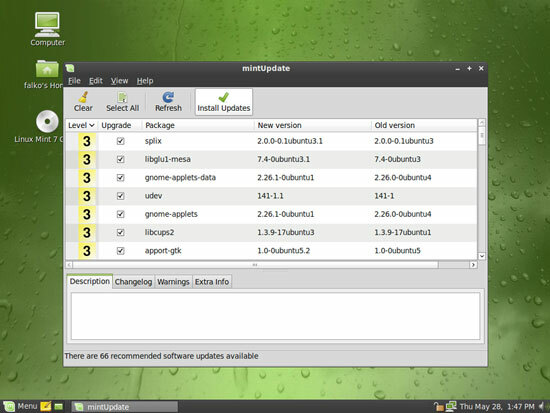 For those switching from Windows, I have two distros to suggest. For those who are less computer literate, and prefere not to have to tweak things, Mepis is the best choice. For those more adventurous folks or those who want to be on the bleeding edge, sidux is the best choice. .
3rd problem: I think it's dangerous to tell people that any Linux distro is a fully fledged M$ Windows replacement. It is NOT. 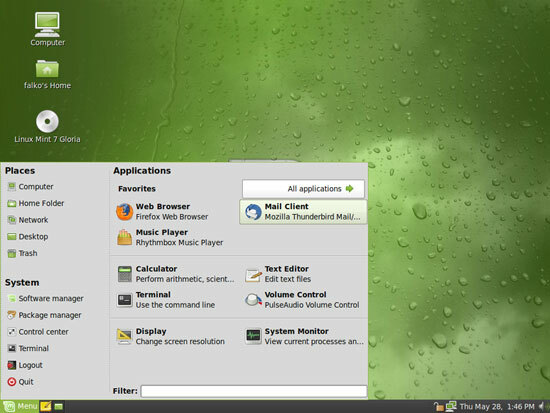 There are many, many applications written for Windows that simply will not run on Linux. No way, no how; not even under WINE or CrossOver (Windows emulators). And to suggest that someone switching from Windows to Linux just trash their Windows installation and use the whole HDD is even more dangerous. I use Linux (Ubuntu 8.04) as my primary platform, but still need to boot to Windows for some things. 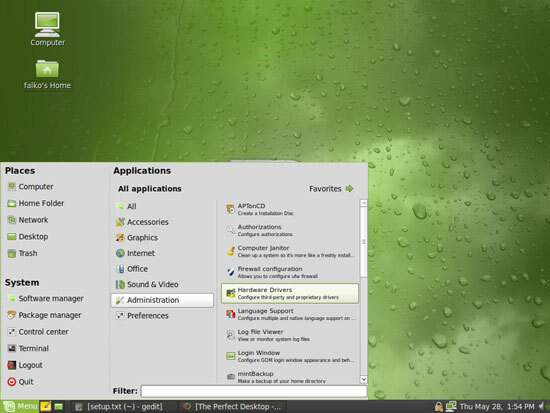 I think a How To for a dual boot system is a far safer option for anyone migrating to Linux. The last time I was actually able to install and use the 3D Nvidia driver was way back at Mint 4 (32 bit op-sys) Since then, on 5, 6 and 7 I've had no succcess. There is actually little real help in mint's forum or Ubuntu's for that matter as all the help speak much the same thing. It's not that I have a video card that is way out there or anything; it's listed as being supported on Nvidia's site (Gforce 7350LE). A stock install with no fiddling at all on my part will not engage the 3D driver. I've tried to compile it to the kernel as per Nvidia's site instuctions and tried ALL the different approaches from all help files with no luck. Yet in Mints documentation it states the drivers are fully tested and compatible. The driver DO install correctly in Mint's # 6 version in 64 bit mode from a stock install - go figure! So I wait for the nest version to come out..